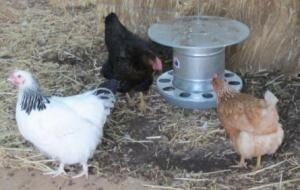 The following guide to feeding backyard chickens in South Australia has been kindly researched and written by one of our dedicated chicken owning clients. We think it’s one of the best short guides available! See also our guide to choosing and caring for chickens. Free access to clean, fresh water is essential. Chickens without water in summer can die in a day, so ensure the supply is adequate in hot weather and prevent icing in winter frosts. An automated watering system costs extra in the beginning, but is much more convenient than constantly checking and refilling a bowl or bucket. 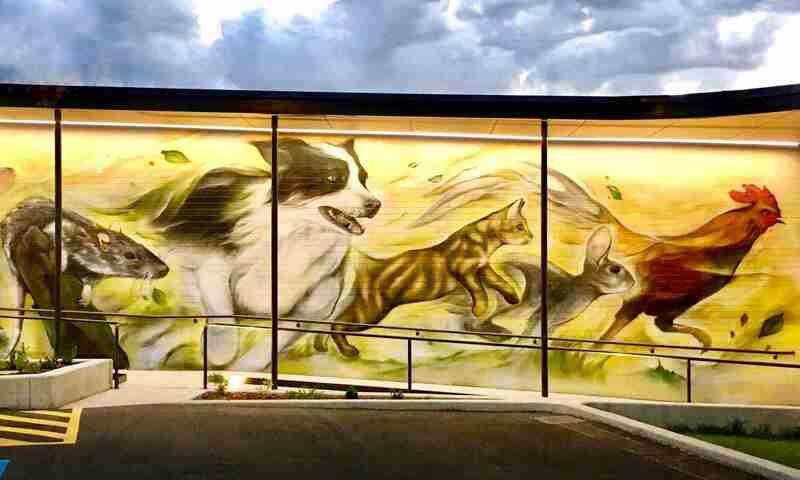 Feed stores and online pet supply shops sell many different systems and can advise which is most suitable for your yard. It’s best to place the water source above the ground so it won’t be fouled by droppings or have dirt and litter kicked into it, but it must be low enough for the chickens to comfortably reach the surface. Ideally it will be out of direct sunlight, to minimise evaporation and algae growth. The water supply equipment needs to be regularly cleaned to control contamination from the environment and other birds, and to prevent the growth of harmful algae and bacteria. Bore water may not be suitable for poultry. High salinity can lead to egg defects and problems with general health; several companies offer water testing, and the report can include recommendations for livestock. But even if the salinity is suitable, ground water can be contaminated by industrial pollution, surface run-off and various pathogens. Chickens love to find water for themselves, and will drink from the nearest source. This can be fresh rainwater droplets on plants or it can be muddy puddles containing pesticides or the droppings of other birds, so if they’re free-ranging in the garden then make sure they have access to clean water along the way. 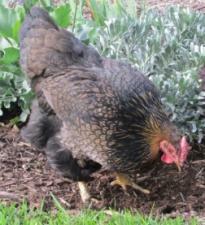 Chooks cannot live on seeds or kitchen scraps alone! Chickens need a high protein intake to allow for good egg and feather production. Their primary diet ought to be commercial poultry layer pellets provided in a container which ensures access for all the hens and which can be secured from rodents and kept dry and clean. Food should be fed from containers, not directly off the ground, to reduce exposure to worm eggs. Pellets are available from feed stores, pet shops and supermarkets. They provide all the essential nutrients in the correct proportions, and compensate for seasonal variation in other food sources like garden foraging and kitchen scraps. Avoid starter or grower pellets as these often contain anti-coccidial additives which should not be fed to animals producing food for human consumption. A few widely recommended pellets available from your local fodder store are Red Hen Layer food from Laucke Mills (see pictures- made here in SA and available at Keelans Grain and Fodder) or Barastoc poultry from Ridley (also Australian). Most sources recommend approximately 120g pellets per hen per day. Laying hens don’t over-eat, so allow them free access to pellet food. 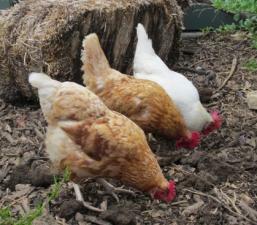 An adult chicken will eat around 1kg of food a week and turn it into an evenly spread manure fertiliser. If your hens have been fed mostly treats, scraps and garden foraging then they will take some time to adapt to the pellets. Give them only pellets until they accept them, and then reintroduce some treats and a few hours of garden access. Feed equipment can be bought online or at feed stores, and there’s lots of advice online. The main concerns are to allow access by the hens and prevent it for other birds and animals, and to keep it clean and dry. However giving only commercial feed will result in commercial grade eggs, and backyard poultry owners generally prefer to give their hens a more varied life and to receive eggs with more colour and flavour. Free-ranging gives chickens physical and mental exercise, but it also exposes them to predators and contaminated soil and water, and they can do considerable damage to the garden. A good compromise is to supervise them in the garden for the hour or two before they return to their roosts for bed. 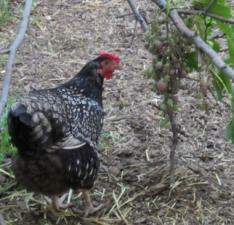 The hens can scratch and run, and find their bugs and weeds but be shooed from delicate plants. It is very important to not underestimate predators. Foxes are active even during the day, and hens can be harried by magpies and crows. Trusted pet dogs have been known to suddenly attack hens they have previously ignored, and children and cats can stalk and chase hens causing stress if not injuries. Baby chicks and young pullets are particularly vulnerable, but experienced, adult hens are easily frightened and all have no defences against a serious attack. Several common garden plants are toxic to chickens, such as ornamental bulbs, azaleas, wisteria, daphne and yew. Mature hens won’t eat them as long as they have other food, but chicks and young pullets may try them, so it’s best to supervise the little ones in the garden. Don’t grow toxic plants in the chook run, and don’t offer them to the hens in case their natural aversion is overcome by their instinct to trust you. Every book, website and internet forum has different advice about what to not feed hens, but there is some basic agreement. Too much protein can lead to kidney failure, while not enough protein leads to muscle loss, feather damage and poor egg quality, so rely on the protein in their pellet feed and don’t give large quantities of protein-rich treats like meat and meal worms. In South Australia it is illegal to feed swill – any food which contains animal matter or has come into contact with animal matter – to animals which are raised for food. While this does not apply to laying hens, it is important to remember that raw meat and fish scraps can increase the risk of salmonella developing in eggs. Mushy substances like avocado, banana and potato, and the long, stringy fibres of hay and long grass, can lead to an impacted crop which impedes digestion of other foods. Very large quantities of onions, chives and garlic can lead to anaemia; high salt causes dehydration and cardiac complications; fatty foods can cause diarrhoea. Above all, do not give mouldy foods or allow the pellet food to become mouldy. Chickens are very susceptible to mould toxins and can die from aflatoxicosis. The good news is that hens will choose a healthy diet if they can. Offer a variety of treats in moderation, and remove any uneaten food so it doesn’t rot or attract rodents. Commercial pellets and free-range foraging can be supplemented by treats, but it is very important to not fill your hens with snacks. Hens which have been spoiled with lots of treats and scraps may take several days to adjust to a pellet diet. Scattering seeds and scraps in their run makes the hens work for their treats, which is good exercise and a natural foraging behaviour. Activity snacks are useful for preventing boredom for hens who are confined in small runs. A cob of corn, a heel of wholegrain bread, a seeding sunflower head, a bunch of grapes from the vine, or kitchen scraps in a string bag hanging from a post will keep the hens busy and active. Some hens won’t eat some foods; they all have their favourites. Remove uneaten food from the yard at the end of the day so you aren’t feeding the local rats and mice! A fresh, good quality pellet feed contains all the vitamins and minerals necessary for healthy chooks. 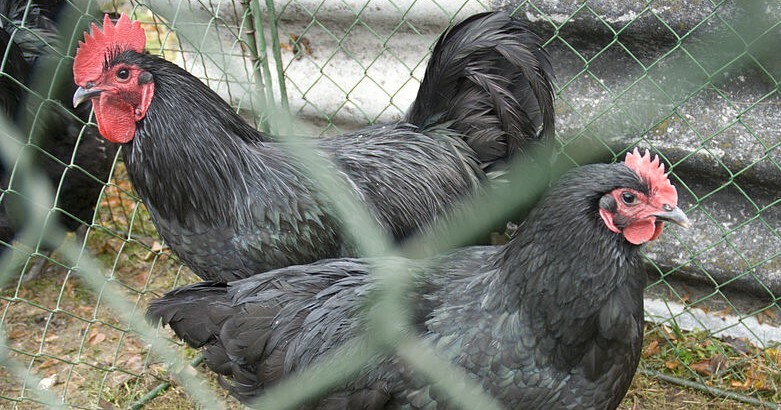 Commercial laying breeds such as ISA Browns and Leghorns, which lay every day, benefit from shell grit for extra calcium to sustain their egg production. Heritage breeds which lay in more natural cycles will get enough calcium from their pellet feed, but they will probably like ground-up egg shells as a snack anyway. 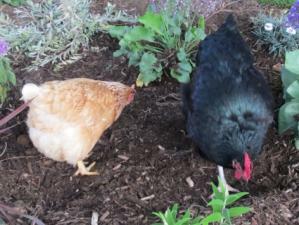 Backyard chook writers frequently recommend special diets and home remedies for periods of illness, or for when hens are moulting or broody or old. Giving your hens garlic and yoghurt won’t hurt them, but as long as they have good quality pellet feed, clean, fresh water and something interesting to peck at every now and then, they will be fine. 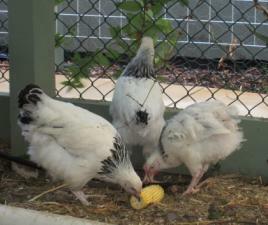 Australian Poultry Cooperative Research Centre Includes information about current research projects. NSW Department of Primary Industry PDF will download if your browser doesn’t have a PDF reading plug-in.